You probably don’t want to take the title of this collection too seriously otherwise you’ll be rather disappointed. The glowing in the dark references night blooming flowers and the magic of evening. It’s quite a large collection this time around, at 23 pieces, of which I have a few items to give you a general over-view of the range. I’ll say ahead that there are no swatches – samples are so few and far between that these are to be returned which is fine, I am all for second-life-ing the multiple products I receive but it’s really weird to do a make up post without digging in! 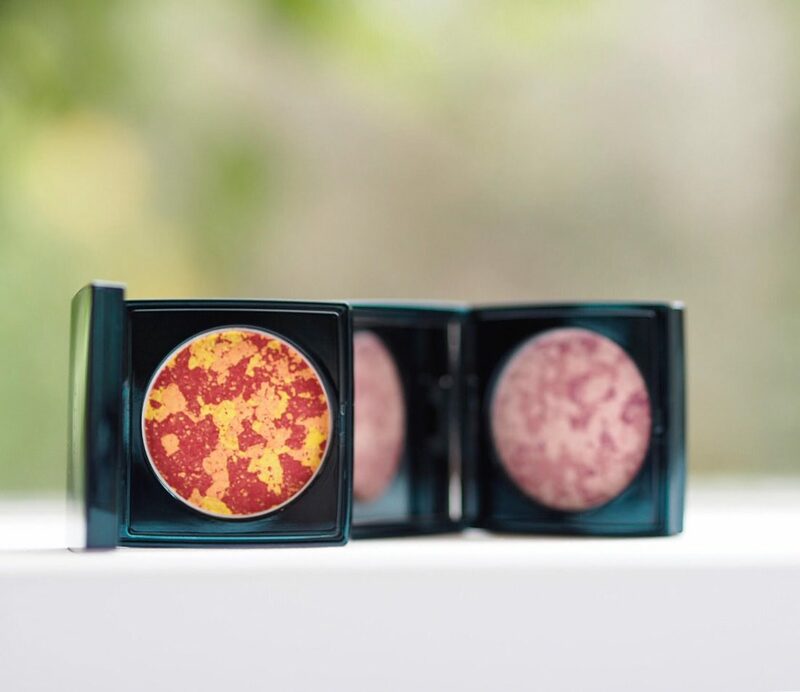 First up is this gorgeous red and gold blush, Midnight Flower Blush, in Terracotta, comprised of multiple flecks of colour and looking like a planet from afar. This one is called Song Siren. 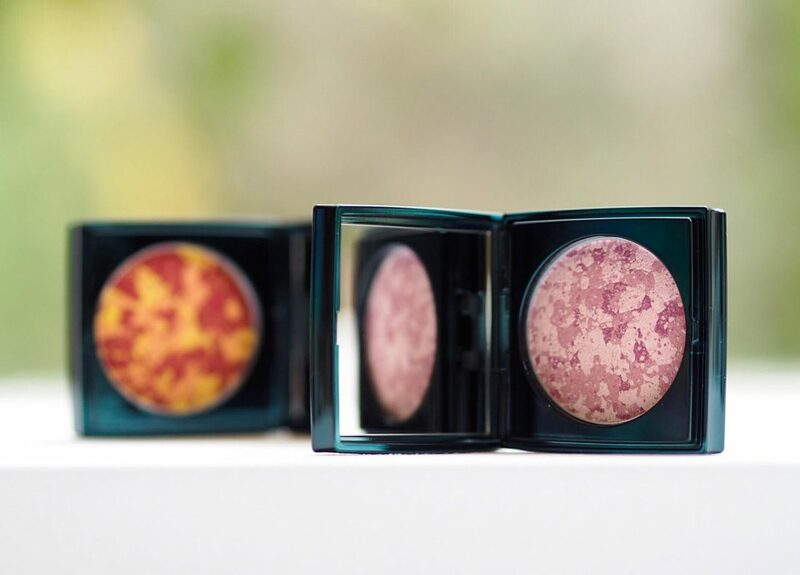 The blush casings come with an integral mirror. 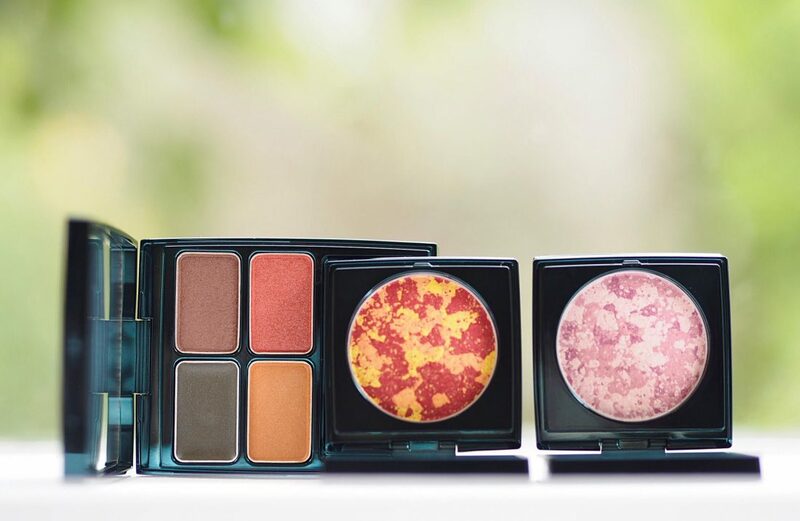 I have the Moon Bloom Palette (there are six in varying shades) in Swinging Garden which is very autumnal with coppery tones and burnished brown notes. 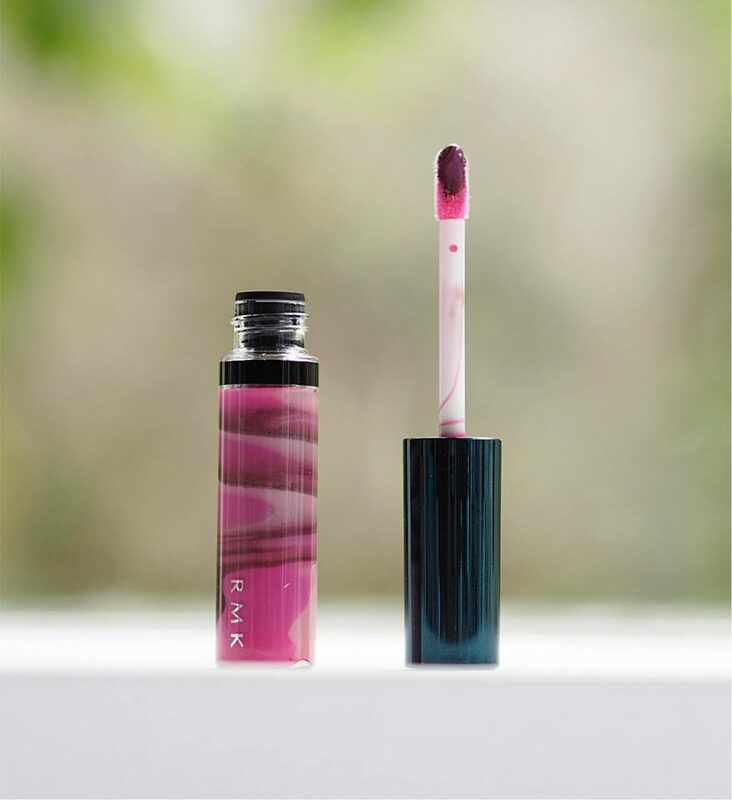 There are three versions of the multi-layered Midnight Flower Lip Gloss – this one is Dance In Shadow. These are apparently made to be sheer shades and they have an interesting (not horrible) scent of cassis and ylang ylang. The marble effect lipstick in the main picture is Mysterious Red; there are also three versions of this. There is the most gorgeous little highlighter with a fairy image on it – if I can get hold of one to show you, I will, but I don’t think anyone could bear to actually use it! As you can tell, I don’t have price information yet and it’s not due to land in stores for a few weeks yet. 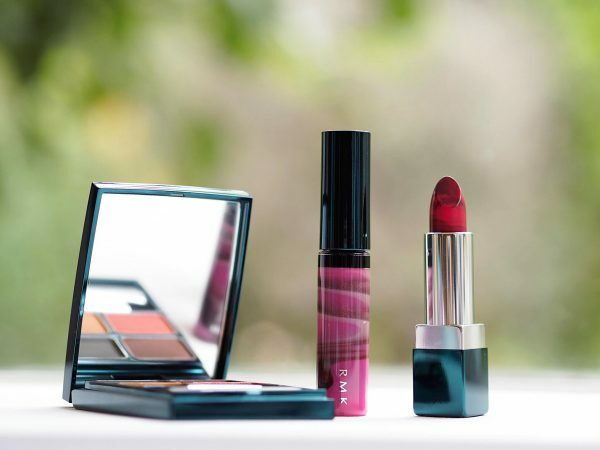 Selfridges always keeps the best stock of RMK which gets harder and harder to track down, but there is a little bit on Beauty Bay and Look Fantastic. The latter is showing pictures of the new collection on the RMK page but none of the collection make up at the time of writing: how unhelpful!